It's Friday Everyone! I hope you have some fun weekend plans ahead before the big 1st day of school next week (for some). I can't believe how fast the summer has gone by! It seems like just yesterday I was searching around to purchase McKenzie's swimsuit and stocking up on all the summer essentials, i.e. beach towels, beach toys, sunscreen, etc. Even though we are currently gearing up for fall, it doesn't mean it's time to put away all the summer gear as temperatures do not look like they are going to fall anytime soon especially here in South Georgia. Here, you walk outside to check your mailbox and you will have a farmer's tan by the time you're back in your house to sort through it. With that said, sunscreen is a must around our house. Anytime McKenzie and I go for a walk or leave the house we both apply sunscreen (even if we're only exposed to the sun for the short time it takes to walk from the car to the entry doors at Target ;). Usually I have a sunscreen bottle for me and another "baby-friendly" version for McKenzie. 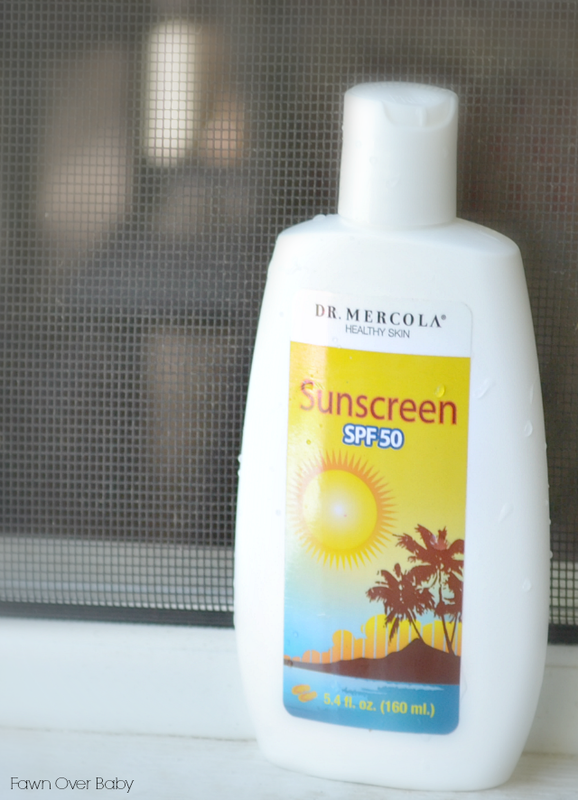 That was until, I was introduced to Dr. Mercola's Sunscreen SPF50 protection lotion. Now I have just one bottle that we can share! Hallelujah for one less item I have to fumble around with in our diaper bag, hehe! Dr. Mercola has been described as a "pioneer for alternative medicine". While his views are controversial, many of his positions are now mainstream. For example, his stance on the importance of appropriate sun exposure to optimize your vitamin D levels. To learn more, visit mercola.com for his in-depth view on sun exposure and healthy ways to reach exposure balance. One way is by using his 100% All Natural Sunscreen. 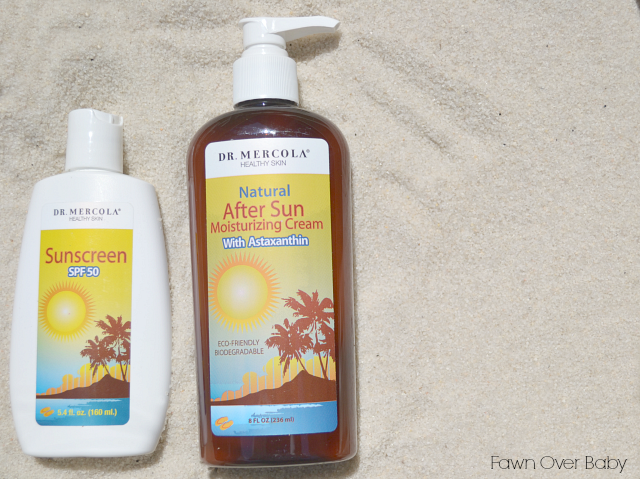 After receiving our product package of Dr. Mercola Sunscreen and After Sun Moisturizing Cream, I did a little further research and was pleased with how well these stood up against all the other sunscreens on the market today. I can now have one bottle of sunscreen to apply to both McKenzie and I without having to worry about exposing her (or myself) to harsh chemicals and toxins every time we want to wear sun protection. Contains anti-oxidant green tea to help protect your skin. Hypoallergenic and vegan too, making it safe to use on baby, children and adults. 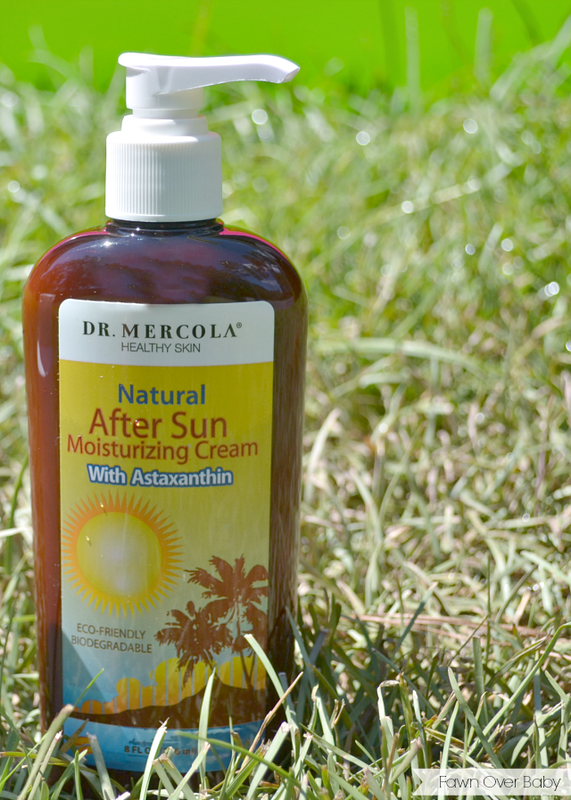 After our day (or 5 minutes) in the sun, we used Dr. Mercola's After-sun Moisturizing Cream. I applied a little to my face as well as McKenzie's and it left our skin feeling silky smooth without a reaction or breakout. Again, Hallelujah! Kenzie seems to react to so many it never fails, so this was a huge plus for me. It is also great for those living in colder dry climates and have a hard time keeping their skin from drying out or cracking! Another perk is it contains antioxidants which is a nice feature as I'm not getting any younger and I'd like to nourish as many skin cells as possible. Specially formulated for use after sunbathing or after bathing, no matter the season. Combines healthful skin supporting ingredients with "powerful antioxidants"green tea and astaxanthin for face and body. Hypoallergenic - contains no emulsifiers or chemical preservatives making it safe for baby & children as well as adults. 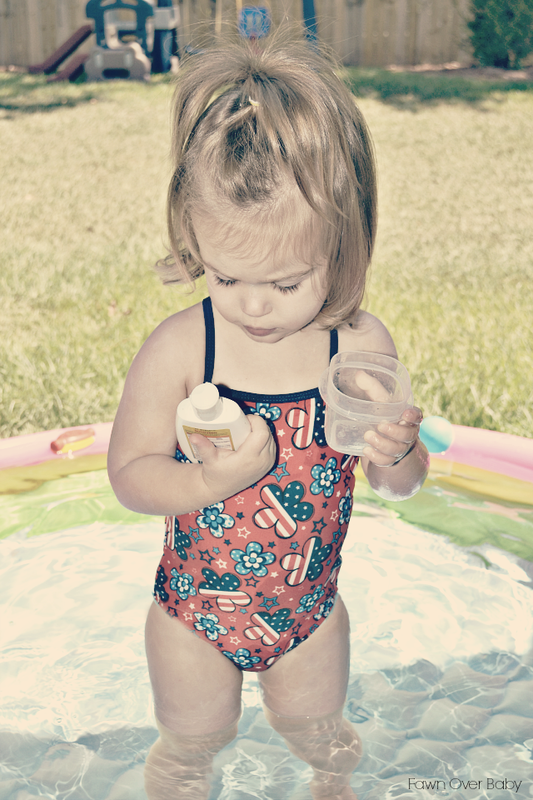 Here is a little photo of Kenzie reading all about the wonderful ingredients that make up this mommy-approved sunscreen! Shop Fawn Over Baby - NOW OPEN!